Table tennis shoes are very significant pieces of equipment. Table tennis is one of the few sports where the equipment and clothing you will have to wear is very limited. Because of this, lots of the quality of individual items become passed onto just some items, as a pose to it being spread over quite a few distinctive pieces of clothing. Shoes are the only thing that determines how well you can stop, how restricted you might be for moving and how supported your ankles and feet are whenever you land from a huge forehand smash or backhand attack. To make sure you get a great pair of table tennis shoes, you’ll want to get a pair with decent reviews. The good thing about the internet these days is that you can go on and Google just about anything and locate unbiased reviews (usually). When you know what model and brand name, the shoes are that you like just enter them in and see what comes up. Obviously, if it is the brand name web page, they’ll be promoting their own shoes, but you will usually get a couple of review sites that show how excellent the shoes are. On top of this, look for something that has the ability to breathe well, that’s lightweight, well constructed, and that looks good. 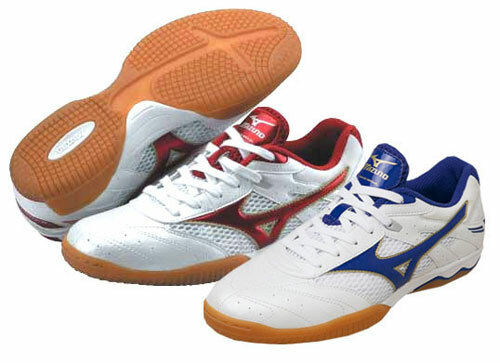 Shoes for table tennis which are made by ASICS and Mizuno are the most well-known, but that doesn’t mean that you will not get good top quality shoes from other, smaller manufacturers. Keep in mind to match your skill level with the funds you invest as well; do not go out and get very expensive shoes on the market if you’re unsure of whether you wish to play the game. A lot of shoe companies are coming up with different shoes that will match the needs of any person. It may be for any informal use, running and sports. There are several companies out there to choose from but based on constant critiques, Mizuno has made its way to be one of the best companies that generate top quality shoes. 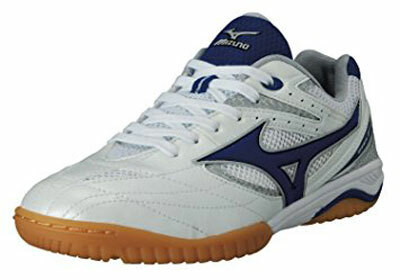 And one of their most popular footwear is the table tennis shoes, particularly the Mizuno Wave Drive shoes. The Mizuno Wave Drive shoes come in distinct designs. You could find the Mizuno Wave Drive 4, 5, 6, plus the latest Mizuno Wave Drive 7 both for men and women. Each type has various features and designs. They are offered in several colors. You will find various improvements in every design. The shoe was created from a lightweight synthetic leather material with a padded ankle liner and mesh tongue. It has three layers of AIR MESH TM that makes feet easily breathe while wearing this pair of shoes. It includes a toe guard to protect your toes from a probable injury caused while playing table tennis. And you can be confident that it’s durable because of the high-tech way of creating it. 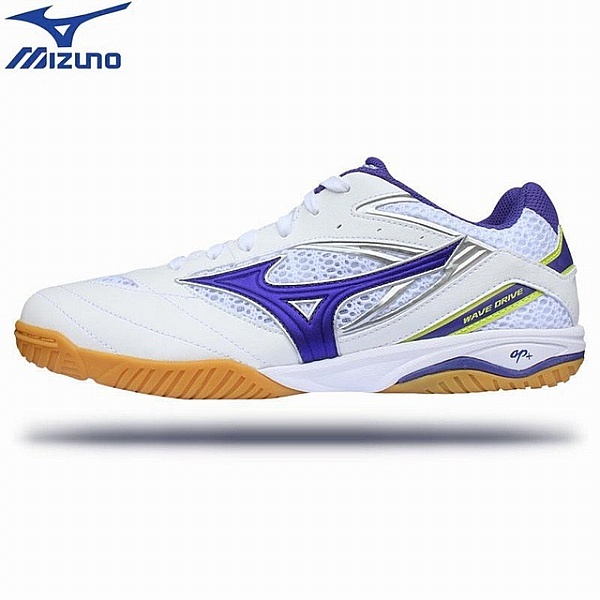 It was constructed for an enhance agility and features the Pebax Parallel Mizuno Wave Technology which absorbs shock in the shoe and improves light-weight cushioning and balance. Out there are a few colors you can choose. With this design, they have improved the flexibility and grip using the SG rubber sole. This shoe has brought a new contemporary look. This pair of shoes keeps the basic characteristics of the prior versions of Mizuno Wave Drive shoes. Because of its amazing performance and durability, it became extremely well-known and saleable in the marketplace. It comes in different colors and styles. Additionally, they boost the midsole of this shoe that is the AP midsole. It has increased performance and agility and its light-weight characteristics. It includes a characteristic of relieving tension or strains on ankles and leg joints. The Mizuno table tennis shoes that use the VS-1 technology provides additional convenience with its vibration absorption material. For the men’s version, they have enhanced the SG rubber outsole for more flexibility. 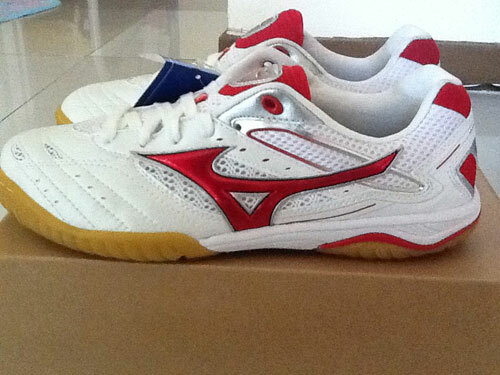 It is the most well-known Mizuno lightning volleyball shoe in the marketplace today. It features brand new designs. Mizuno has performed a lot of improvements throughout its wave drive shoes. They have applied the Mizuno’s advanced technology which is the Dynamotion Fit. This technology eliminates pressure on joints for a more comfortable experience with Mizuno Intercool ventilation. Without compromising its performance and balance, this pair of shoes stays lightweight with only 10.5 ounces. The colors readily available are major in blue-white and red-white. This style is significantly lighter than prior styles. This is ideal for non-professional and professional table tennis players. No wonder why this pair of shoes became probably the most saleable table tennis shoes in the marketplace these days. Famous China players like Ma Long also wearing this pair of shoes. 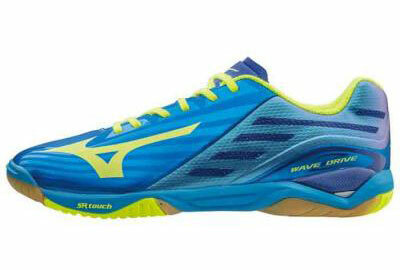 Another shoe in Wave Drive series is this Wave Drive Z. It was launched specially for the 2016 Rio Olympics. It is also uniquely designed in Japan’s National Team colors. You can be assured to have a great cushioning with its heel wave plate and ap+. The shoe is light and the anatomically molded removable cup insole make it very comfortable to wear. The shoe is featured with all the Mizuno’s latest technologies which including of Mizuno Wave, PrimeSkin, SR Touch, DynamotionFit and PoWnCe. The artificial leather weight for this shoe is approximately 260g. This is a great sneaker that can provide you with good lateral support and ventilation. They are worth the money you paid for. These table tennis shoes are categorized as high-performance shoes. The removable cup insole made it very comfortable when put on your feet while the AIRmesh upper provides good breathability. This shoe is designed to offer players with great traction and stability. Extension of the Wave Plate technology into the mid-foot to enhance support. SR Touch insert in the forefoot supports quick and powerful movements. The unique white-blue design makes it be very sleek look. This is a pair of excellent table tennis shoes. The sole is very tenacious. But you need to aware of the size when buying. It is better for you to try out the actual shoes which fit your shoes well as the size chart might be not so accurate. This Mizuno Wave Drive 8 is a popular shoe in the Wave Drive series. The flexibility of the shoes doesn’t give much throughout, so it can put your foot nice and stable while you are playing table tennis. There is a nice and covered mesh that will keep your foot nice and cool all the time. When you are playing by wearing these shoes, you will have a great feel where the shoe will keep your feet comfortable in the heat. You can focus yourself on playing the game and will definitely help in your foot moving speed. You can have a bouncy feel as well by wearing it and it can give you a superb grip. The main concern is to choose the exact size and it can differ depending on the model. In my friend’s case, he was previously wearing with a shoe size of 42.5. But for this one, even with the same size of 42.5, it may differ by half the size. Drive Z is smaller (by 42 in fact), even the manufacturer is the same, and they structurally very similar. It is very important which you select the most effective shoes so you can execute your skills and also have an incredible performance in playing ping pong. 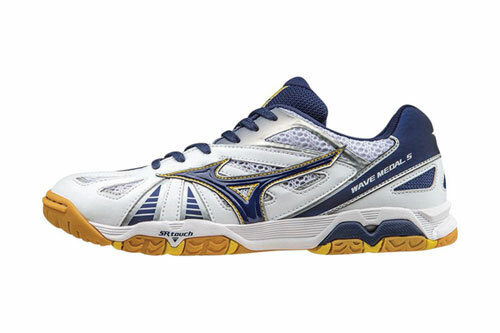 Mizuno table tennis shoes will absolutely offer a remarkable efficiency in any ping pong game. Men and women will like them. The price of each design is definitely worth it. After reading, I don’t understand what are the categories of thoses differents shoes. Or why choose one and not the other. I’ve seen Wave Drive A2 too on my resellers, any infos on it ? another one choose to sell only Cyclone Speed, but seems lower class shoes. Shoes is rather subjective when come to choosing one. Some people are looking for the brand while others are looking for comfortable. Different people have different demands. I am looking for a wider sized shoe can you point me in the direction which shoe I should be looking at right now. You may contact Megaspin support, they can advise you on the size.